Brooklyn-born Jennifer Higdon was a late comer to music, not beginning formal studies until she was 18. A self-taught flutist, she did not begin to study composition until she was 21. From this laid-back musical beginning, she has since catapulted herself onto center stage, becoming one of the most frequently performed and admired contemporary composers, with her works performed over 200 times a year. Her popular blue cathedral has been performed by over 200 orchestras since its 2000 premiere. Currently she holds the prestigious Milton L. Rock Chair of Compositional Studies at the Curtis Institute of Music in Philadelphia. Yesterday she was honored with a Pulitzer Prize for her Violin Concerto, which she wrote for Hilary Hahn, and earlier this year she received her 3rd Grammy Award for her Percussion Concerto. Her prolific career includes two dozen recordings, and she has been featured composer at numerous music festivals, including Tanglewood and Vail, and served as composer-in-residence for the Pittsburgh Symphony, Green Bay Symphony, and Philadelphia Orchestra. 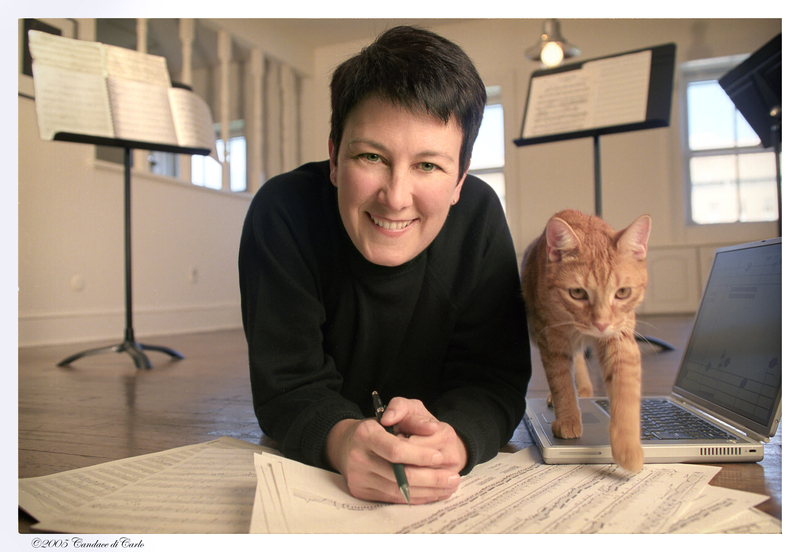 Higdon’s compositions include “traces of American classical, rock and folk music,” the London Philharmonic website writes, “together with the influence of great classical orchestrators.” Kudos to Jennifer Higdon, an American original, and may she long continue to invigorate the contemporary musical scene. She may have gotten a late start in music, but what an example she sets that “talent will out” and it’s never too late to start.